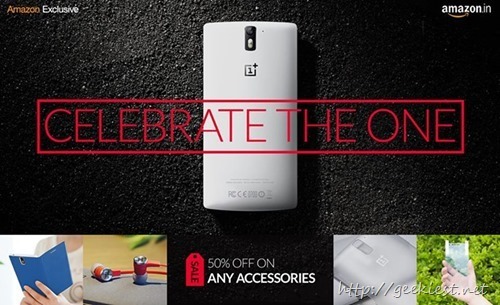 On the first anniversary of the Flagship killer OnePlus One, OnePlus is offering flat 50% OFF on selected accessories. This offer is valid only for today. If you are a OnePlus One owner this is the right time to buy the accessories from Amazon India. The accessories like Bamboo style swap back cover will be available in India very soon says OnePlus India on their official Facebook page.